Lecture: "Who's Writing This Novel Anyway? Brice Matthieussent on Revenge of the Translator." Lecture: "Forging History: War, Remembrance, and Femininity in the Spanish Film Industry of the 1940s"
Le Cine-Club Français: Weekly screenings of French and Francophone films. Open to currently-enrolled French students only. Screenings on Fridays at 3 p.m.
German films with English subtitles. Open to currently-enrolled German students only. Dr. Robert T. Tally, Jr. (English): "Géocritique: An Introduction to Spatial Literary Studies"
Dr. Evan Torner (University of Cincinnati): "Race, Socialism, and the East German Science Fiction Film"
Dr. Torner's talk will be followed by the screening of Der schweigende Stern (Kurt Maetzig, 1960). Dr. Mary Beth Stein (George Washington University): "Romeos and Other Spies for East Germany's Foreign Intelligence Service"
Educate our world through the Peace Corps. Math, Science, and English-teaching specialists are needed to address global education and training needs at grassroots levels. Help improve a community's education levels, teaching methods, and language competencies, while gaining global skills for your career. Join us at this education-focused information session to learn about Volunteer experiences, ask questions about service, and gain tips to guide you through the application process. Come and join us for our Intercambio (Spanish Language Mixer) at Mochas and Javas for a cultural Spanish-language exchange with international students and language learners. This week's meeting is on Friday, September 28, 1:00pm-2:30pm. We will have free coffee, iced tea, delicious treats, and even prizes! We look forward to seeing you! Thursday, September 6th, then Mondays, 5 p.m.
Open to currently-enrolled Spanish students only. "Tiramisu For Two, the movie: Beginning to Break a Wall"
Rincón Hispano is a student organization dedicated to promoting the Spanish language and exploring the cultural diversity of Spanish speaking populations. Come join us for Intercambio: Spanish-Language Mixer at Mochas and Javas on L.B.J. Street on Friday, April 6 at 1:00-2:30. Free refreshments and prizes will be offered! Come join us for Intercambio: Spanish-Language Mixer at Mochas and Javas on L.B.J. Street on Friday, February 16 at 1:00-2:30. We will be celebrating "El mes de la amistad" (Friendship Month). Free refreshments and prizes will be offered! For currently enrolled German students only. For currently enrolled Spanish students only. Vodka Street Bistro, 202 N. LBJ Dr.
For more information, contact Kayla Hill, M.A. Le Ciné-Club Français: Weekly screenings of French and Francophone films. For currently enrolled French students only. 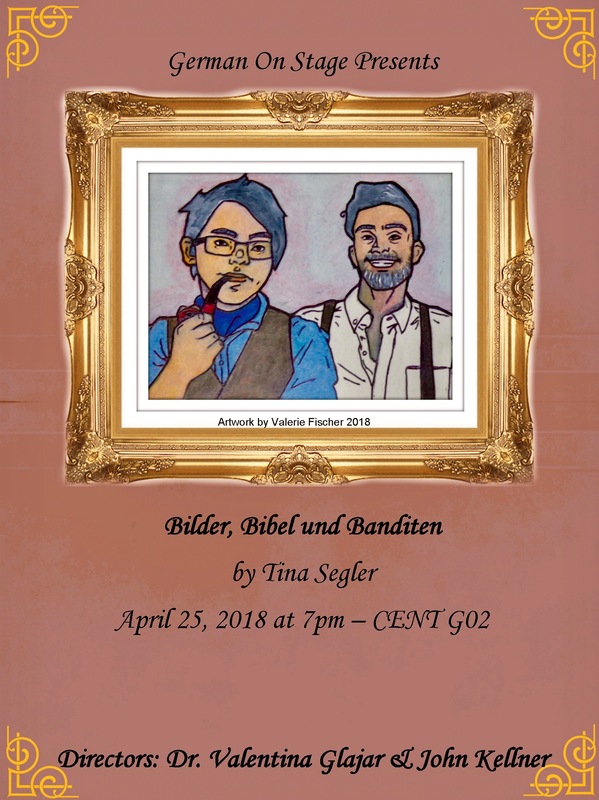 "From Art & Beyond: an Artiste in search for Justice in the XXIst Century"
FESTIVAL DE POESIA HISPANICA: Sponsored by Sigma Delta Pi, the Spanish Honors Society, a presentation of poetry readings and music by faculty and students. Kinoabend: "Von Berlin nach Wien: Großstadtfilme aus Deutschland und Österreich"
French Film Series: If it's Friday, it must be Belgium! The French Club is open to all students of all levels interested in French language and culture. Presented through a grant from the National Endowment for the Arts and the support of the Departments of Modern Languages and English. Public Lecture: "The Holocaust in France: insights from survivors' oral histories"
Speaker: Maël Le Noc. Mr. Le Noc is a PhD student in Geography at Texas State University working under the supervision of Dr. Alberto Giordano. He grew up in France and received his Master’s degree in Geography from Texas State University in May 2016. His main research interests include historical GIS and the Geography of the Holocaust, with a focus on family separations. Public Lecture: "The French Grandeur: Urban Spaces, Social Life and Celebration of Antiquity in 18th and 19th Century France"
Speaker: Dr. Angela Lombardi (UTSA). Dr. Lombardi's research, in the field of historic preservation, focuses on management of historic built heritage and archaeology within contemporary urban landscapes in an international context. Study Arabic Abroad, Why? Where? and When? Club Telenovela provides an informal setting for students to practice Spanish and improve comprehension by watching a Spanish-language soap opera with other students of Spanish and Spanish speakers. Our selection for Fall 2016 is "¿Dónde está Elisa? 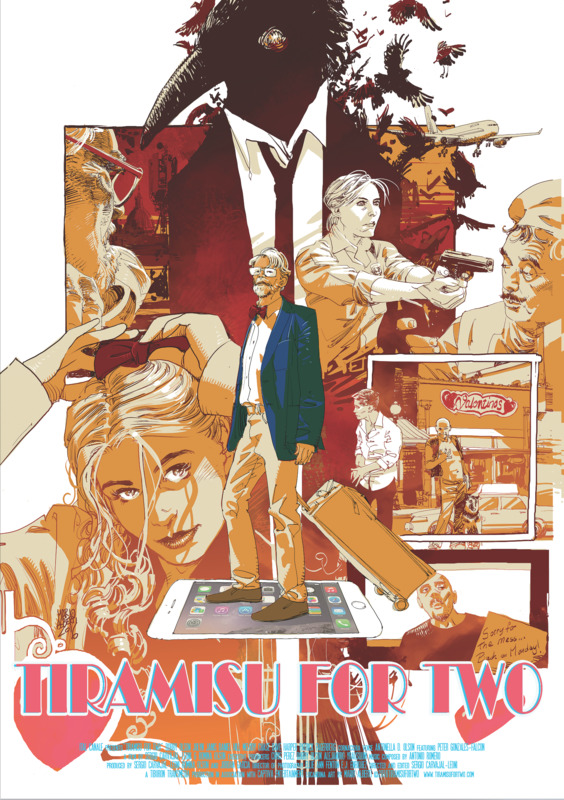 ", a series about the mysterious disappearance of the teenaged daughter of a wealthy couple. Most Fridays at 12:30 p.m.
"El cuento en el siglo XXI: la narrativa breve de Mercedes Abad y Jon Bilbao"
"A Dream for the Future: Inspirational Lessons from Dominique Mwankumi"
Der Deutsche Kinoabend: Weekly screenings of German films. 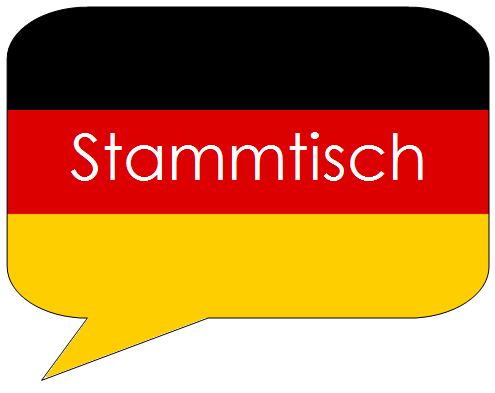 German speakers of all proficiency levels welcome. Every Wednesday at 6:15 p.m.
French Film Series: Let's Get Animated! La Table Française: The French Table is a weekly lunch for all people interested in speaking and practicing French in a casual setting. Meetings on Fridays at 12 p.m. in the Den Food Court. Rows of Memory: A Conversation with Drs. Saúl Sánchez, Antonio Rivera, and Juan Rodríguez about their personal "common experience" with Dr. Thomas Rivera. Book signing, question and answer session, and reception will follow. This is a Common Experience event. 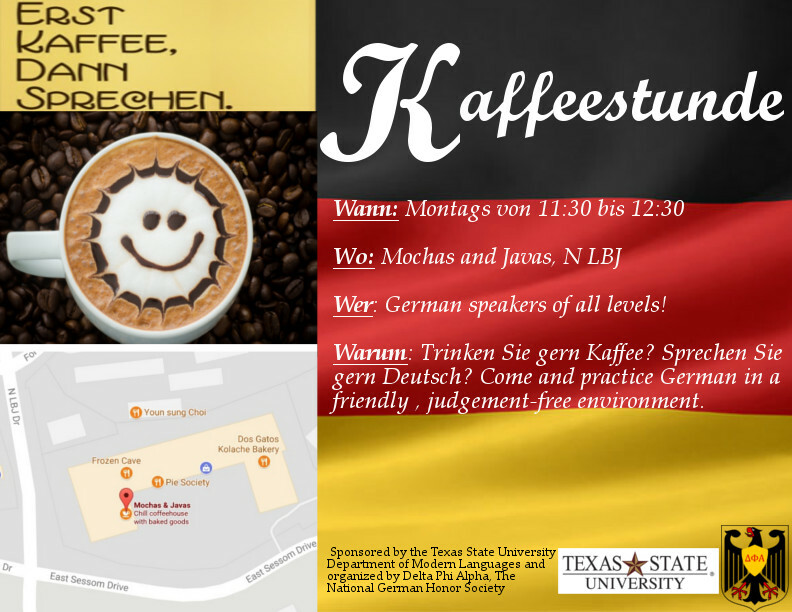 9 a.m. - 12:25 p.m.
For German speakers and learners of all levels, novice to native. Meetings on Wednesdays at 12 p.m. in the Den Food Court. French Film Series: Bon appétit! Screenings on April 20, 23, and 24 at 6 p.m.
Film screenings at 5 p.m. and 7 p.m.
Ignacio M Garcia: "Constructing a Mexican American Powerhouse While Remaining Colorblind"
Jorge Iber: "Sport as a Vehicle for Breaking Down Barriers: Some Historical Examples from Texas and Elsewhere in the Southwest and West"
Opening Reception: "Striving for Success: Latino Athletes at Texas State"
Representatives of different programs will be providing information to those interested in studying, teaching, working, and/or researching abroad. The fair reflects the university's emphasis on internationalization and all interested parties are encouraged to attend. Modern Languages students and faculty will read from famous Latin American and Hispanic poets and all languages are welcome. Students from across campus will participate. Der deutsche Kinoabend: German Film Series. French Film Series: Classical French Cinema. "Reinventing Storytelling for Grownups: the Birth of the Comic Strip—1820s-1850s"
"Punk à la vapeur? Steampunk in the French Mode"
"Historic Realism? García Márquez's Colombia, 1928-1991"
"Pasado de moda: Re-assessing Latin American Fashion"
"La literatura dominicana: su escenario en las letras hispanoamericanas"
"Critical issues of Equity in Education"
Students and faculty from across campus and guests will read poems by universally well-known Latin American and Spanish poets. Guest reader, Dr. Jeff Gordon, Department of Philosophy, will read Pablo Neruda’s work and a selection of American poets. Faculty will read also in German, Italian, and Japanese. All languages are welcome. Dr. Mary Coffey, Pomona College, "Between the Devil and the Deep Blue Sea: Competing Notions of the Subaltern in Emilia Pardo Bazán's Short Fiction"
Dr. María Elena Soliño, University of Houston, "From Blue Shirts to Aprons: Representations of Femininity in Early Postwar Film"
"Recovering an 18th-Century Woman's Life in Spanish Archives"
Der kaukasische Kreidekreis by Bertolt Brecht 7:30 p.m.
Dr. Philippe Seminet: "Apprendre le français en ligne: les avantages de Français interactif"
Dr. Moira Di Mauro-Jackson: "Contes and légendes du monde francophone: Fiches pédagogiques avec un "Twist" Multiculturel"
Ms. Florence Lemoine: "Utilisation de la radio en cours de français"
Ms. Esther Boateng:"Idées pour motiver des élèves en français"
Dr. Helen Gant Guillory: "Une introduction à la phonétique française : la mélodie de l’intonation"
"From Hombres de maíz to King Corn"
"From Oral Tradition and Traditional Stories to Written and New Stories"
German Film Series: East Germany. "The 1940’s: The Golden Age in Film and Music in Mexico"
"Los representantes de la América hispana en las Cortes de Cádiz de 1812"
La Noche de Cine: weekly screenings of Spanish-language films. La Noche de Cine: Bi-weekly screenings of Spanish-language films. 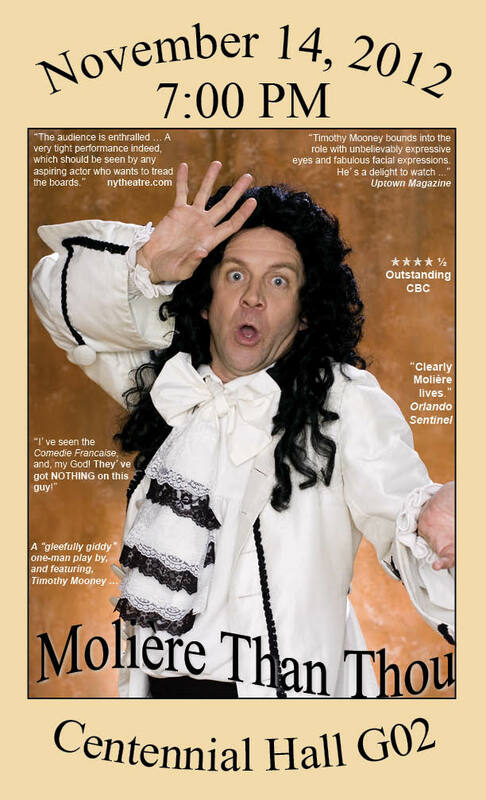 Tim Mooney will be doing a workshop on the life of Molière, and a presentation of his one-man performance, "Molière Than Thou". "Huysmans and the Novel of Conversion"
"Women's Beds in J.-K. Huysmans: The Departure Point of a Spiritual Journey"
"Huysmans and the Nineteenth-Century Cult of Interior Design"
Dr. Jim Coleman, Open University, U.K.